The spokesman of Egypt's Coptic Orthodox Church, Bishop Paul, has announced that the new Coptic Orthodox Patriarch will be chosen on 4 November. Three out of the current list of five candidates will be selected on 29 October, and their names will be put into the altar lottery, which will take place on 4 November. The current final candidates were announced earlier this week. 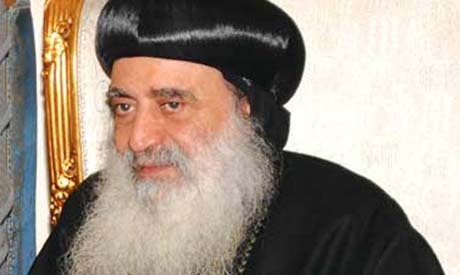 The lottery will determine the successor to Pope Shenouda, who held the apostolic throne from 1971 until his death last March. He seems far more humble aith less gold and sliver chains. Let us serve our people and guide them to the truth: Mercy and compassion. I hope he will follow in steps of Pope Shenouda. We need more interaction with people daily problems and less Kahanot, gold songs, and retuals. We need a pope that will promote natinal unity, protecft all Egyptians rights and ensure community service.